For the past 37 years, SCAN has served two of New York City’s most impoverished communities: East Harlem and the South Bronx. Today, we are the largest provider of youth services in these communities, reaching over 7,000 youth and 1,000 families each year. We invite you to help us celebrate some of the remarkable organizations and individuals who have enabled SCAN to continue and expand its critical mission. 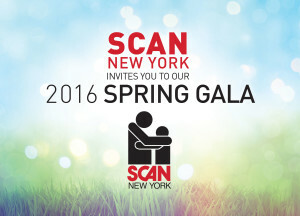 SCAN’s 2016 Spring Gala will be a wonderful opportunity to honor those who continue to play a vital role in our growth, and to raise much-needed funds to help improve the lives of the most vulnerable children and families in the communities we serve.